NASCAR stars are pulling into the Pocono Mountains for the Pocono 400, May 31-June 2, 2019 and Gander RV 400, July 26-28, 2019 at Pocono Raceway. With so much enticement, you&apos;ll wonder what to do first. And whether you’re a die-hard fan or a curious first-timer, the “Tricky Triangle” is dishing out major incentives for you to get in on the action. Read on for 10 reasons to make a NASCAR race a priority this summer in the Pocono Mountains. 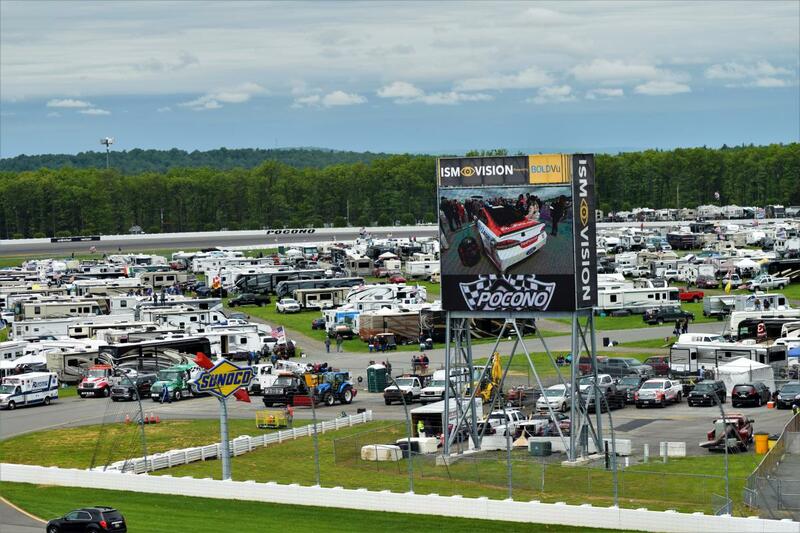 Another reason to love Pocono Raceway is their new Worry-Free Weather Guarantee! Check out our video below for a first-timer&apos;s look at the raceway. 1. There’s no place like Pocono! Forget what you’ve seen on TV. You haven’t truly experienced a NASCAR race until you’ve felt the rush of the cars flying by. From the energy of the crowd to the extras off the track, there’s nothing like a NASCAR race at Pocono. 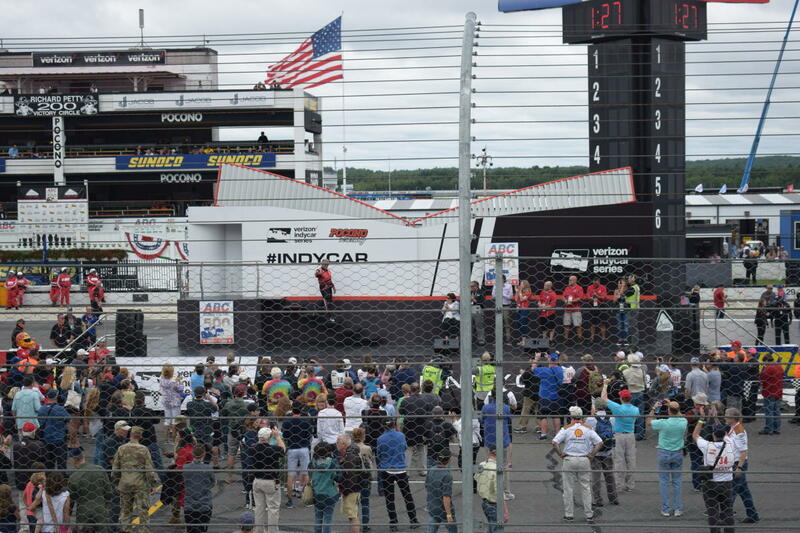 Pocono Raceway puts families first, with kid-friendly activities at every event. Young fans can explore Tricky’s* Kit Kamp, play in the Kids Zone, enjoy special perks from the Kids Club and party it up at the annual Kids Day (Saturday, July 27, 2019). And, kids 12 and under enter free Friday-Sunday. 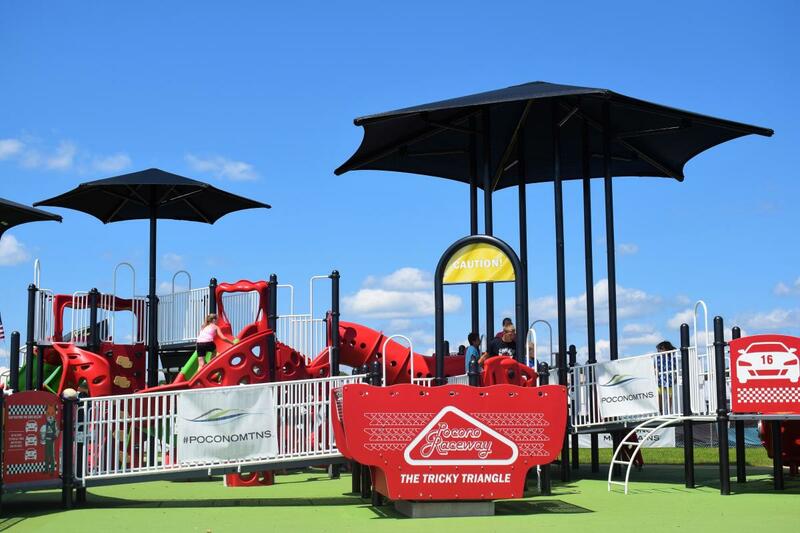 As an added bonus, the #PoconoMtns Inclusive Playground is open for children of all ages and abilities to play during the Gander RV 400 and ABC Supply 500 race weekends. *Tricky the Fox is Pocono Raceway’s mascot. Look for him out and about on race weekends. Even pets can party at Pocono. In 2016, Pocono Raceway created the Bark Park; the first dog park located inside a NASCAR/INDYCAR track. Open to RV and camping guests, the infield pup park includes a fenced-in area with separate enclosures for big and small dogs. 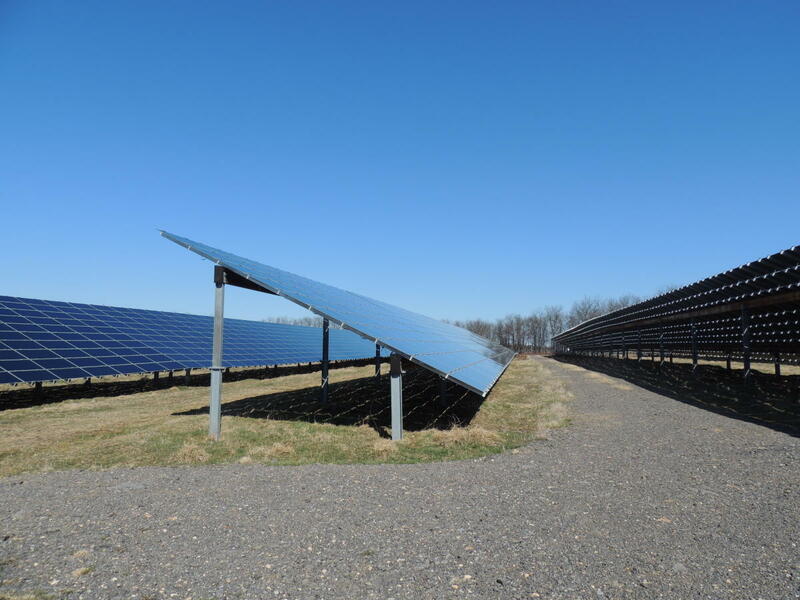 Pocono Raceway is powered by the sun! The track’s 25-acre solar farm generates enough energy to power the property and almost 100 homes and businesses nearby. And, as if that wasn&apos;t eco-friendly enough, the track employs a flock of sheep to naturally manage grass on the farm. That’s right. This is one sports venue that doesn’t discourage outside drinks. You can stock a 12x12” cooler with the contents of your choice and bring it into the grandstands to keep you happy and hydrated. 7. It takes camping to a whole new level. 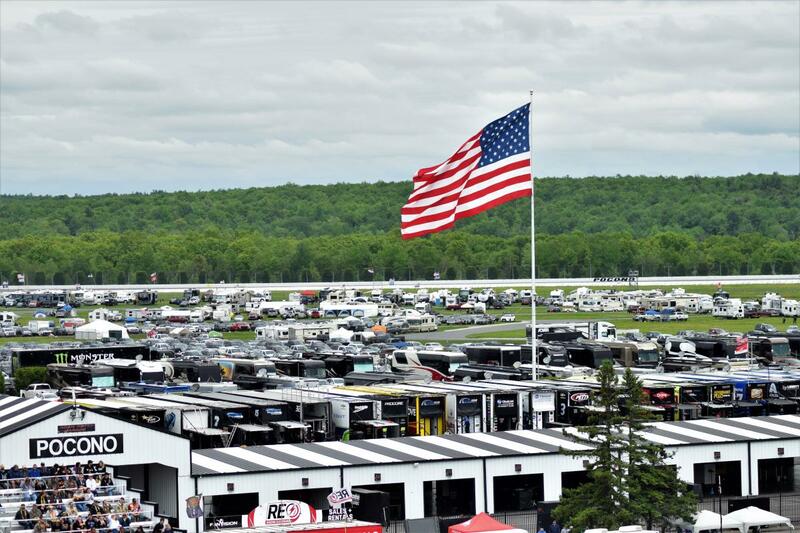 From tents to trailers and tricked-out RVs, you’ll see some pretty impressive campsites at Pocono Raceway. Seasoned racegoers know, it’s less about the crash pad than the sense of community, but if you’ve got an RV, you’ll want to park it in on the fence line. The views are second to none. 8. The add-ons are awesome. Take our advice, join the Tricky Triangle Club. The $99 upgrade gets you all kinds of perks on race weekends. We’re talking drink tickets, souvenirs, Pit Passes and even access to driver Q&A events. It’s the top option for fan hospitality. 9. Two words: Fan Fair. What’s there to do before the flag drops? Stop by the Fan Fair and find out. Open daily on race weekends, Pocono Raceway’s Fan Fair features interactive displays, souvenir stations, food and drink vendors, children’s activities and a whole lot more to see and do. 10. Did we mention the party atmosphere? Pocono Raceway’s Infield Block Party keeps the energy up when the sun goes down. Free to camping guests on Fridays and Saturdays of NASCAR weekends, this big bash features live music from 6 p.m. to midnight, wiffle ball games, kids&apos; activities, great food, drinks and fun for the whole family. Fireworks begin at 9 p.m. on Saturdays. The public is invited to join in on the fun Saturday nights for a $10/vehicle fee that benefits local fire companies. Perks and parties aside, there’s a lot to love about Pocono Raceway. Learn more about the good things going on here. Be sure to join us for the Pocono 400, May 31-June 2, 2019, the Gander RV 400, July 26-28, 2019 and the ABC Supply 500, August 17-18, 2019. For tickets and trip planning tools, visit our NASCAR in the Pocono Mountains page. We’ll see you this summer at the Tricky Triangle! 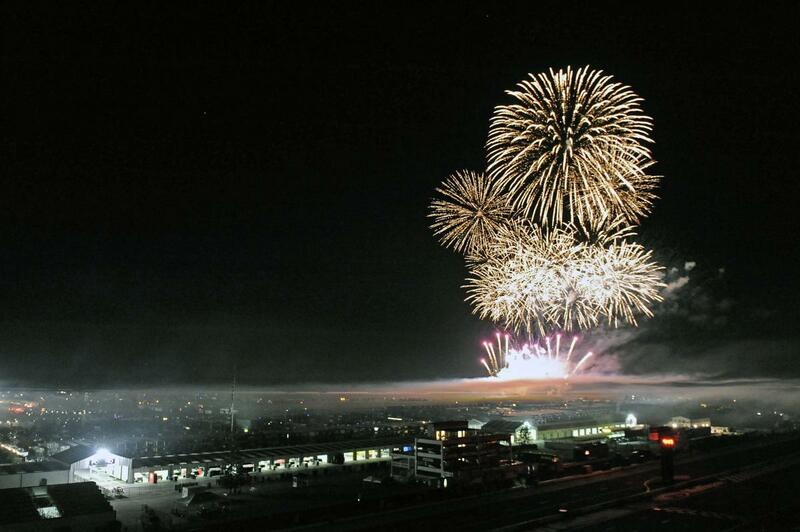 Get a sneak peak of the racetrack and its festivities below!